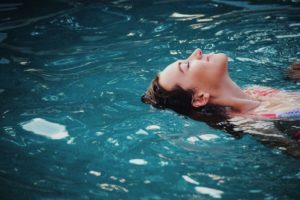 Aquatic therapy programs can assist in treating both chronic pain disorders like arthritis and fibromyalgia as well as neurological disorders. Aquatic therapy programs can assist in treating both chronic pain disorders like arthritis and fibromyalgia as well as neurological disorders. If you have ever had any questions regarding aquatic therapy, find out the facts here and how it can benefit you. How does aquatic therapy work? Since water constantly adjusts its shape, it can accommodate your movements. Using a concept called hydrostatic pressure, it compresses your skin, muscles and joints. The hydrostatic pressure assists in decreasing swelling caused by injury or those with arthritis. Additionally, buoyancy from the water assists in supporting weight. By reducing stress on joints, it aids in sprains, strains, and bone fractures. The warmth of the water further allows muscles to relax and increases blood flow to assist in healing. In doing so, it is particularly effective for muscle pain and fibromyalgia. With aquatics therapy, it is actually just the opposite. When you are in the water, the pressure is a constant stimulus that your body is not typically accustomed to. Due to this, your nervous system actually dulls the pain, making it easier to stretch your muscles. This creates increased comfort while still retaining the maximum benefits of your treatment. By utilizing aquatic therapy, your muscles will thank you. The warm water helps dilate blood vessels and improve circulation, causing relaxation. The flow of the molecules additionally acts as a natural form of massage to combat sore muscles. Due to this, aquatic exercise is often recommended as a great workout for individuals with physical limitations. It helps tone and stretch while emphasizing low impact exercise. With aquatic therapy as well as aquatic exercise, you can relive pain without putting additional pressure on your joints. Contact PT Northwest today to learn more about how aquatic therapy can help you.